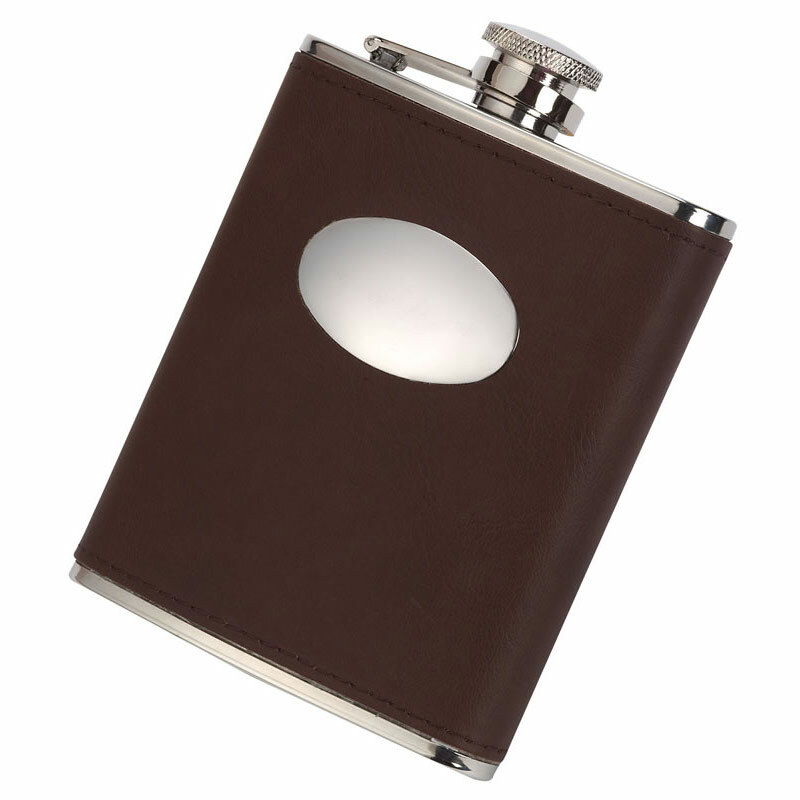 A premium quality hip flask crafted in stainless steel with a brown coloured real leather cover. These 6oz flasks have a captive lid and include an oval engraving plaque. The leather cover features a grainy texture and includes stitched edges. They can be engraved, for free, on the oval plaque to create branded corporate gifts or commemorative items.